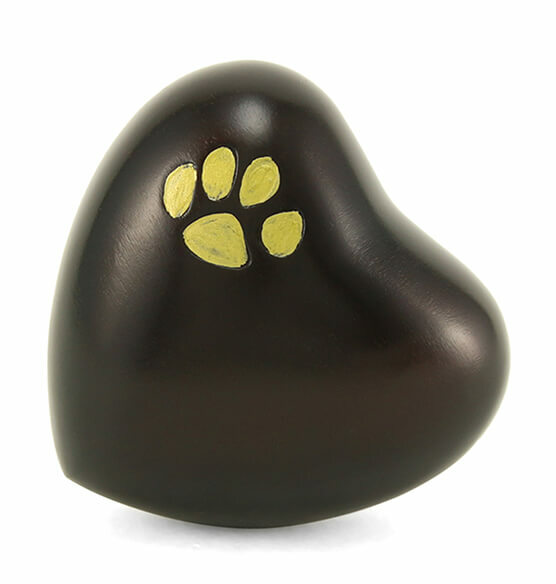 Keep your four-legged companion close at heart, even after you say goodbye with this Personalized Brass Paw Print Heart Keepsake. 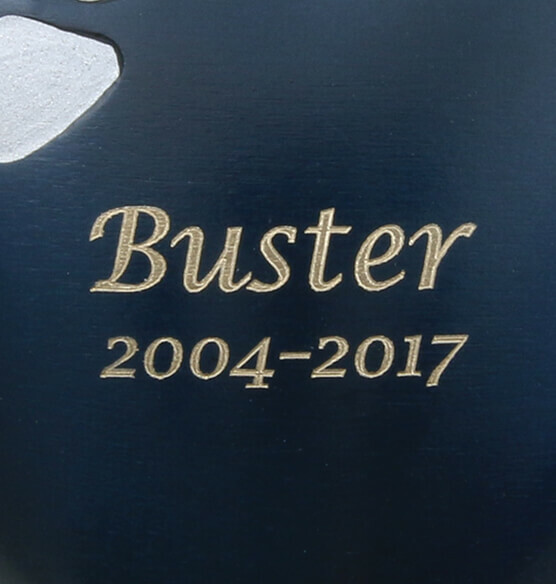 This one-of-a-kind pet memorial is the perfect keepsake to use as a dog urn or cat urn. 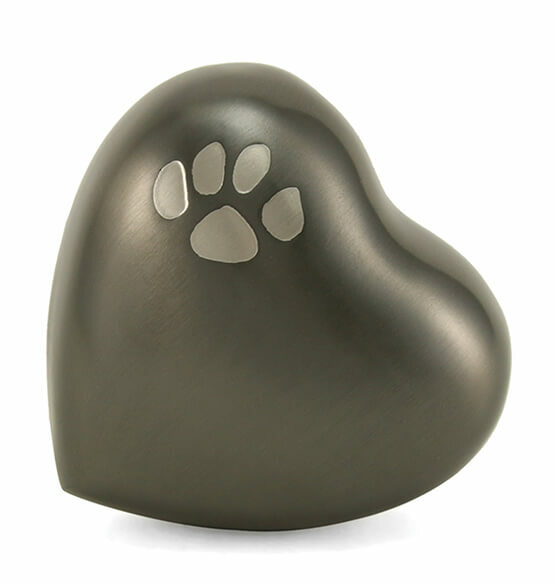 Crafted from brass with a hand painted silver paw print, the mini pet cremation urn features your custom message on top. Holds a small portion of a pet's ashes, ideal for using in combination with a larger urn. Or, choose multiple heart keepsakes rather than a large pet urn. 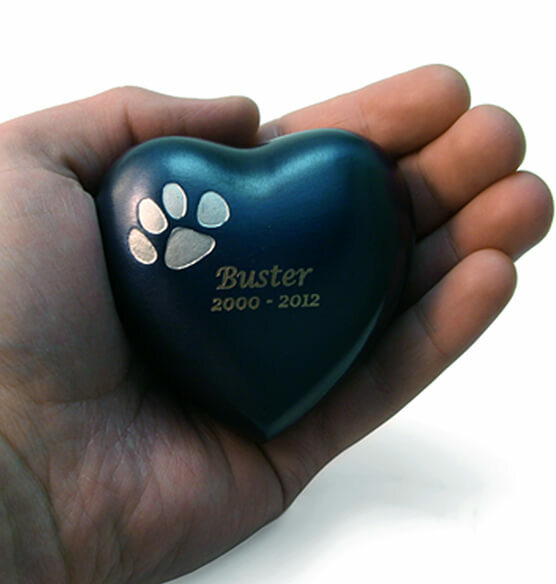 Select from three colors and four font styles to customize your pet memorial. Perfect for a small portion of pet's ashes, or small pets weighing less than 5 lbs.